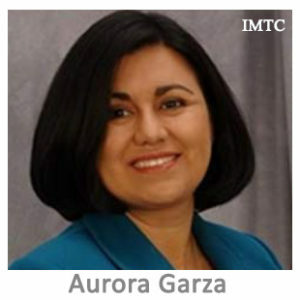 Aurora Garza Hagan CEO, BBVA Transfer Services, Inc.
Aurora Garza Hagan was named CEO of BBVA Transfer Services, Inc. (“BTS”) in July 2015. As head of BTS, she is responsible for managing the remittance services that the BBVA Group provides to 28 countries. Garza Hagan rose up through the ranks at BTS. She started in 2001 as a senior accounting analyst and held various leadership positions. Most recently, prior to assuming her current position, Garza Hagan was Chief Financial Officer where she was responsible for all aspects of finance, accounting, treasury management, and regulatory relations at BTS. Before joining BTS, Garza Hagan held various auditor positions at Ernst & Young, Continental Airlines and UT Systems Administration. Education Garza Hagan earned a bachelor’s degree in business administration from The University of Texas at Austin. Other Info Director, Money Services Business Association Certified Public Accountant in the State of Texas.